If you have a septic system, you’ll want to know the best toilet paper for septic tanks. By using toilet paper that breaks down easily, you won’t need more frequent servicing. 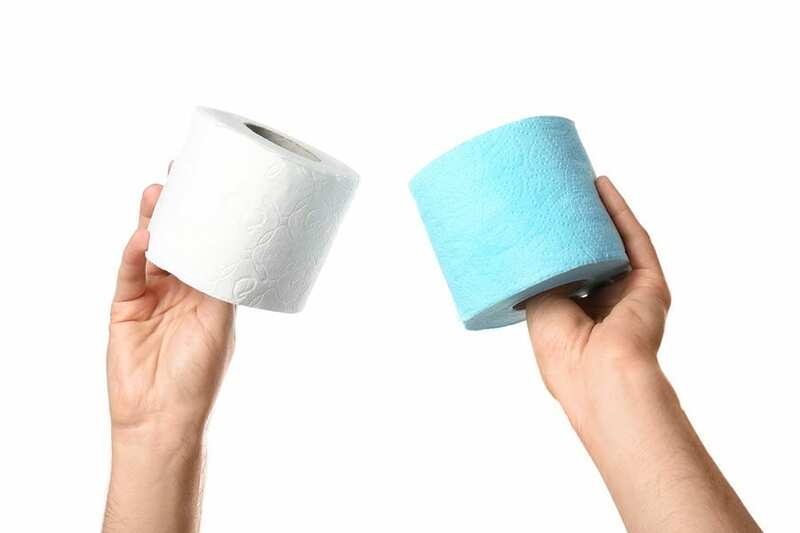 Some types of toilet paper are better for septic systems than others. Toilet paper options include biodegradable, recycled and standard paper. Before comparing toilet papers, however, there’s the option of not flushing any paper. It may seem extreme, but some people choose not to flush any paper for two reasons. First, you can use any paper you want if it goes into a garbage can rather than the septic system. Second, particles of cellulose from the dissolved paper may go into the drain field and cause soil clogging regardless of what type you pick. This isn’t a common concern, but you may want to take it into consideration. If you plan to flush toilet paper though, it’s important to pick the best option. Biodegradable toilet paper – the type you’d take backpacking – breaks down the fastest and has no chemicals. It costs more than other toilet paper, however, and isn’t necessary for a healthy septic system. Similarly, toilet paper made for RVs and boats is often labeled “biodegradable” and “rapid dissolving.” Packages may also say “septic safe.” These are good options and many brands offer soft and durable paper in both one-ply and two-ply varieties. Recycled toilet paper has few chemicals, if any, or bleach which can upset the bacterial balance in the septic tank. It dissolves quickly because the fibers are already more broken down than standard paper. Some brands will be marketed specifically for septic systems as well. Standard toilet paper comes in a wide range of plies, thicknesses, textures and even scents. Premium brands may contain wet strength resin, as do napkins and paper towels. Any paper with wet strength resin won’t break up well in septic systems. There are many scientific terms for wet strength resin, so you might need to run a test (explained below) to know if the paper has it. It’s best to avoid the thickest, softest premium brands unless it says “safe for septic” on the label. How do you know for certain that the toilet paper you pick dissolves easily? A water test will do the trick. Pick a few types and put three or four squares of toilet paper in a clear mason jar with water. Shake the jars for 15 seconds each to simulate flushing. You’ll see clearly how the paper breaks down or doesn’t. Additionally, septic experts recommend you minimize the amount of paper you use per bathroom visit, regardless of what type of toilet paper you use. Whether you wad or fold the paper, use as few squares as possible. Teaching children this will also help you avoid plugged toilets.